Saddleback College Sophomore #13 Mikayla Layral drys off during halftime against Orange Coast. 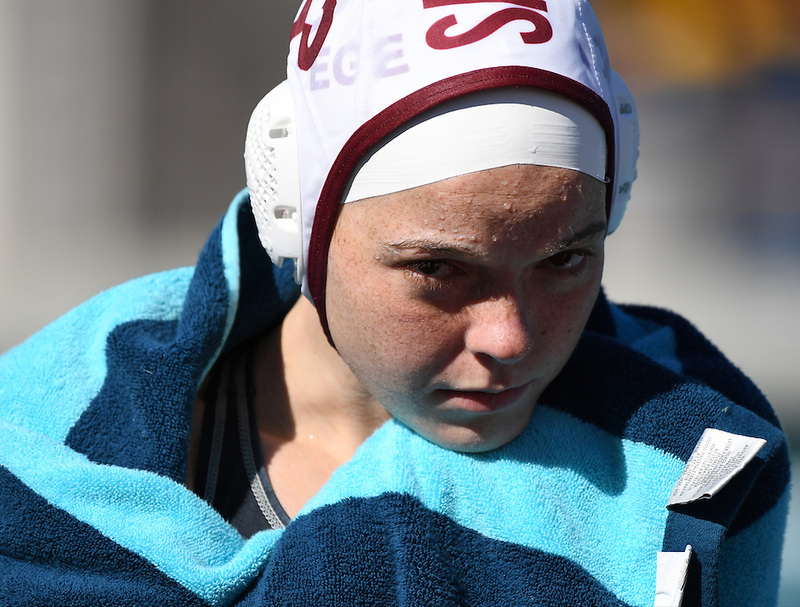 Saddleback fell to Orange Coast 11-4 in the first round of Orange Empire Conference water polo state championships. November 3rd, 2016.